Bamboo is a versatile crop. It can be used in 1,500 different ways including as food, a substitute for wood, building and construction material, for handicrafts and paper. 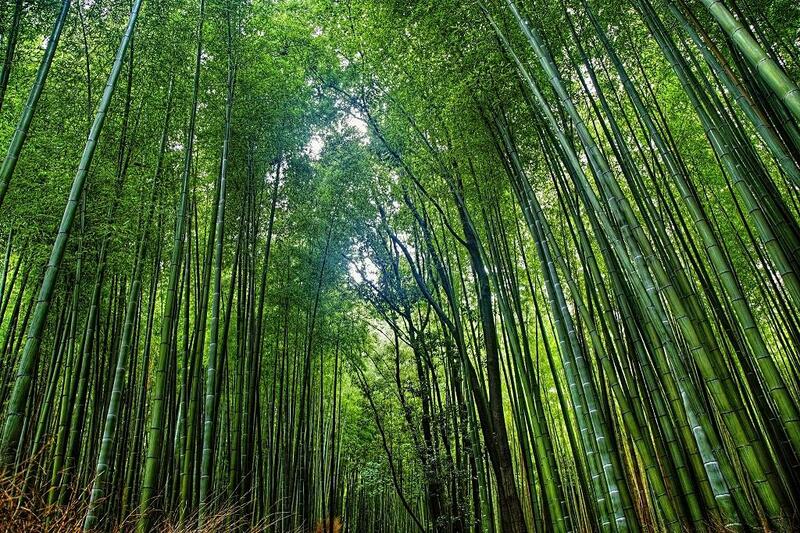 Around 80 per cent of bamboo forests lie in Asia with India, China and Myanmar having 19.8 million hectares of bamboo. India is the world’s second largest cultivator of bamboo after China, with 136 species and 23 genera spread over 13.96 million hectares. According to the Union Ministry of Agriculture and Farmer Welfare, India’s annual bamboo production is estimated at 3.23 million tonnes. However, despite all this, the country’s share in the global bamboo trade and commerce is only 4 per cent. In October 2006, the Government of India (GOI) had launched the National Bamboo Mission (NBM) on the basis of the National Mission on Bamboo Technology and Trade Development Report, 2003. The NBM’s key objective was to address issues relating to the development of the bamboo industry in the country, provide a new impetus and direction and enable the realisation of India’s considerable potential in bamboo production. Multi-disciplinary and multi-dimensional in its approach, major interventions planned under it were to focus on research and development, plantation on forest and non-forest lands through Joint Forest Management Committees (JFMCs) or Village Development Committee (VDCs) and to ensure the supply of quality planting materials by establishing centralised and kisan/mahila nurseries. NBM was started as a Centrally Sponsored Scheme in 2006-07. The Agriculture Finance Corporation (AFC) India Limited, a consultancy organisation, prepared the mid-term evaluation study report of NBM in 2012-13. For the study, the organisation covered 9 states and 18 districts out of 27 states that had implemented NBM during the 10th and 11th Plan period. The report made some positive revelations. To popularise various bamboo handicrafts and other products as well as bamboo food items like processed shoots, six retail outlets were created. The report further noted that a beginning had been made in using tissue cultured planting material in some states, with encouraging results. Bamboo Development Agencies (BDAs) in all states have done excellent work with regard to bamboo plantation on forest land through JFMCs and VDCs. Of course, there are some drawbacks too. The plantation on non‐forest land involving farmers and private land owners has not taken full momentum. Transfer of technology through training and demonstrations form an integral part of the NBM. But the quality of the training needs to be further upgraded to improve the practical knowledge and skills of the stakeholders. The NBM 2006 was brought under the Integrated Horticulture Development Mission during the year 2014-15 and was continued till the year 2015-16. Since 2006-07, 3,61,791 ha of land have been covered with bamboo plantations, out of which 2,36,700 ha are under forest area and 1,25,091 ha under non-forest area. An area of 91,715 ha of existing bamboo plantations has been improved for higher productivity. A total of 1,466 nurseries have been established to supply quality planting material. In different states, 61,126 farmers and 12,710 field functionaries have been trained in the area of nursery management and bamboo plantation. In addition, 39 bamboo wholesale & retail markets near villages, 29 retail outlets and 40 bamboo bazaars have been established. In April 2018, a restructured NBM was approved by the GOI with an investment of Rs 1290 crore in the coming 2 years. The restructured NBM will aim to support the development of the entire value chain of the bamboo sector starting from planting material, plantation, creation of facilities for collection, aggregation, processing marketing, micro, small & medium enterprises, skill development and brand building initiative in a cluster approach mode. This will contribute to doubling of farmers’ income and also generate more employment opportunities for skilled and unskilled workers, especially youths in rural areas. To facilitate the benefit flow to the farmers, bamboo outside forest areas has been excluded from the definition of tree by amending Section 2 (7) of the Indian Forest Act, 1927 by the GOI in November 2017. Bamboo has tremendous untapped potential for transforming India’s rural economy. There is vast scope for expanding bamboo in areas outside forests because: a) its management is easier in these lands than in natural forests and b) due to close to user agencies, economic harvesting is possible. However, under the NBM, during the period 2006-17, new area covered through plantation has been around 3.62 lakh ha (including 1.25 lakh ha in non-forest areas). This, when one of the Mission’s objectives was to expand area under bamboo plantations by 2 million ha in the Tenth Plan and overall 6 million ha in the Tenth and Eleventh Plan. This was primarily because The Indian Forest Act, 1927 defined bamboo as a “tree”. Till the end of 2017, bamboo grown outside forests was subject to regulatory rules of felling and transportation. Despite NBM being a flagship scheme, new plantation work was stalled as funds were released only for maintenance of bamboo plantations raised earlier during 2014-15 and 2015-16, further slowing down plantation and related activities. Land degradation is a major problem confronting India. According to the State of India’s Environment 2017, nearly 30 per cent of India’s land is degraded. With its unique ability to stitch and repair damaged soils, bamboo is ideal for rehabilitating degraded soil. The short fall in bamboo plantation would have adverse impact in reclaiming degraded land as well as the Greening India programme. It is perceived that the emphasis of NBM has, by and large, been on propagation and cultivation of bamboo, with limited efforts on processing, product development and value addition. This has caused weak linkages between farmers and the industry. There is a need to develop an integrated bamboo industry in the country. It is hoped that the restructured NBM would focus on the development of a complete value chain of the bamboo sector to link growers with consumers. To arrest the pace of land degradation in the country, a national programme of intensive bamboo plantation involving all stake-holders needs to be undertaken beyond 2019-20.The National Housing Scheme (PMAY) should utilise bamboo as construction material. Though bamboo has been used in various pioneering structural applications in the past, it is still seen as a “poor man’s material”. Developing bamboo as a load-bearing structural element would pave the way for its high value application in construction, which can make bamboo cultivation an economically viable way of greening the vast wastelands. Edible bamboo has a huge demand in East Asian cuisines and medicine. Bamboo grown in the Northeast (which is 66 per cent of the growing bamboo stock in India) can be exported to East Asian countries like Japan and Taiwan for competitive prices with the GOI’s support.